The population of any place or a country is not constant. There is always change in population. We usually find the population being increased in most of the places but in some of the places we can find the population being decreased. The countries of north-west Europe such as Norway, Denmark, etc. can be taken as examples of it. People usually takes population management as related only to the control of the population but its meaning is little different from that. Population management is a bit different from population control. 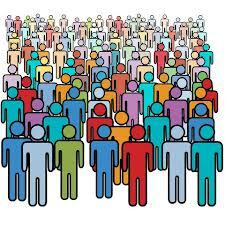 Population management is the practice of keeping the human population at a sustainable population size. It includes the size of population, structure, distribution, population growth etc. Regarding the different factors related to birth, death and migration and keeping the balance on means and resources to control the population is called population management. The essential factors such as food, education, clothes, shelter, health services, employment, etc. are to be provided to maintain the quality of life. All these works are called population management. The change in population does not occur in the same way at all the places, it differs. There is an interrelationship between population growth and available means and resources. There must be a balance between these resources and population growth otherwise there is danger of the lives of the human. The population growth should be balanced according to the available means and resources. The factors such as quality education, small family, proper age of marriage, birth spacing, breastfeeding, women participation in the decision taking on the important matters of the family, etc. should be considered by developing countries for the management of population. It is essential to bring about changes in the area of mother and child health care in order to decrease infant mortality rate. Involving women in income-generating activities, women empowerment, population education, etc. should be promoted with regard to all these activities. The population of any place or a country is not constant. There is an interrelationship between population growth and available means and resources. The population growth should be balanced according to the available means and resources. The essential factors such as food, education, clothes, shelter, health services, employment, etc. are to be provided to maintain the quality of life. What are the factors that are to be considered by developing countries for the population management? The factors such as quality education, small family, proper age of marriage, birth spacing, breastfeeding, women participation in the decision taking on the important matters of the family, etc. should be considered by developing countries for the management of population. Write in short about population management. Population management is the practice of keeping the human population at a sustainable population size. It includes the size of population, structure, distribution, population growth etc. Regarding the different factors related to birth, death and migration and keeping the balance on means and resources to control the population is called population management. The essential factors such as food, education, clothes, shelter, health services, employment, etc. are to be provided to maintain the quality of life. All these works are called population management. The change in population does not occur in the same way at all the places, it differs. What should be done for the management of population? There must be a balance between the available resources and population growth otherwise there is danger of the lives of the human. It is essential to bring about changes in the area of mother and child health care in order to decrease infant mortality rate. Involving women in income-generating activities, women empowerment, population education, etc. should be promoted with regard to all these activities. The practice of keeping the human population at a sustainable population size is called ______. The population of any place or a country is not ______. The essential factors such as ______ is to be provided for quality of life. Which one of the following should be considered by developing countries for the management of population? Any Questions on 'Measures for Population Management '?